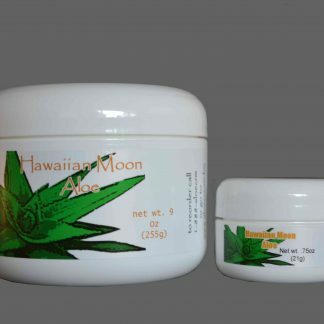 If the Family Pack Special or 9oz with free .75oz travel jar is too much of our do-it-all aloe cream, we still have this smaller 4oz jar available. 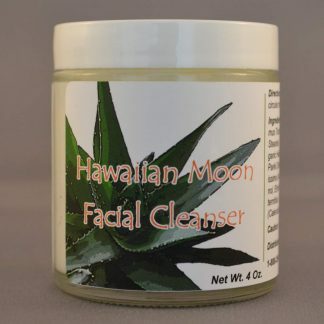 This 4 oz Skin Care jar can last between 3 to 6 months, depending on your usage. 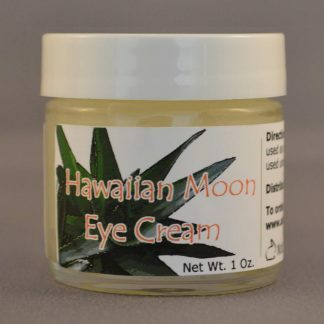 This is the exact same formulation as the other offerings, so it can help with those dry skin conditions or as a daily skin moisturizer. This size is perfect for keeping in your spare rooms or bathroom. 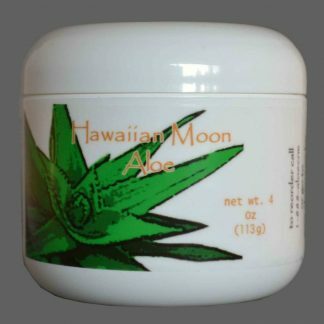 You will receive a 4 oz jar of Hawaiian Moon Aloe vera skin cream. definitely a great aloe cream. I use it every day and it makes my skin really really smooth. I’d absolutely recommend this product in any situation really.